Each week we will now be featuring an additional post called 4th and 10. It will be a top 10 (or not top 10) comprised of our cumulative viewpoints on the topic. We will go through an important, timely, or interesting topic in sports. I think it will be a great addition to our repertoire and will help us reach new readers. Here are our top 10 Heisman hopefuls and our respective opinions in regards to a few of the candidates. 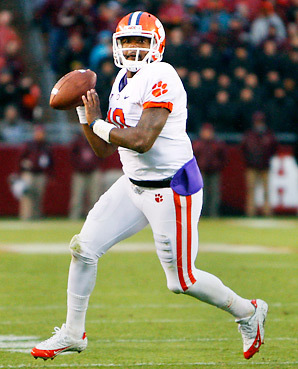 Recent history favors a do-it-all quarterback winning the award. 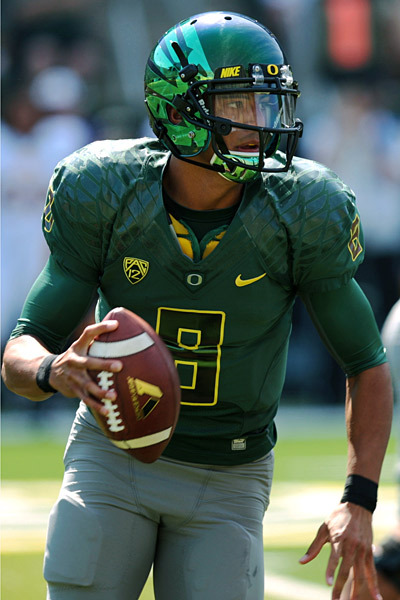 Mariota is certainly that with over 1,700 passing yards and over 400 rushing yards and 24 total touchdowns to date. He also leads one of the most prolific offenses in the country. 20 total touchdowns and nearing 2,000 total yards. This weekend gives Boyd a primetime opportunity for a Heisman moment. If they avoid “Clemsoning” he will get an invite to Radio City Hall. Petty leads the NCAA in QB rating and quarterbacks the first offense to score 70+ points in three consecutive games since the turn of the century…20th century that is. Lack of success of the Big 12 conference overall and the fact that his name sounds like a NASCAR driver’s are hindrances he will have to overcome. Leads the NCAA in passing yards and passing touchdowns to date with 2,511 yards and 25 touchdowns. The fact that they lost to an FBS team means he will likely need to smash records to take home the hardware. The NCAA rushing leader with 899 yards and is tied for third with 9 rushing touchdowns. Nine of the last ten Heisman trophy winners have been quarterbacks. Until George Whitfield starts coaching running backs, he probably has an outside shot at best. The reigning Heisman winner remains the best player in college football. 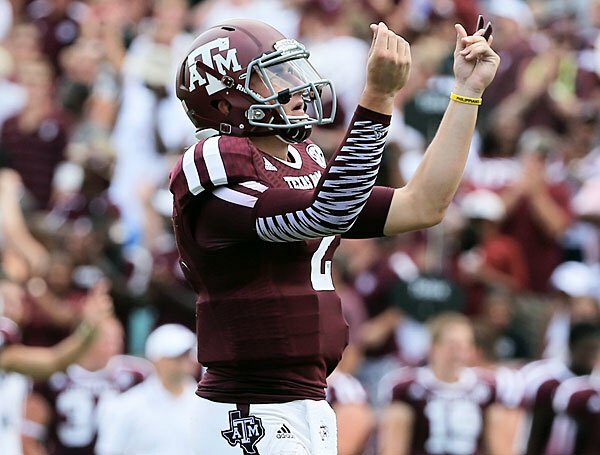 No player is capable of producing the signature plays and “Heisman moment” quite like Manziel. He had a record setting performance against Alabama, a team who has risen to 2nd in the nation in scoring defense. Manziel will continue to amaze and does all of this while playing against the best competition in college football. Winston has been superb this season. He will have an opportunity this weekend to defeat Clemson on the road. Winston will have the chance to prove himself in the biggest game of his career this weekend. 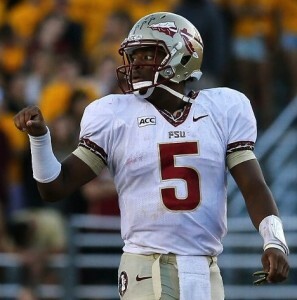 If Winston excels he will likely rise in the rankings with games against Miami (FL) and Florida remaining. Bridgewater has displayed tactical prowess this season as he is likely going to be a top draft pick in April. However, despite his talents he simply does not have the opportunity to display his ability on the big stage. The lack of top competition on the schedule will ultimately cost Bridgewater a serious chance to win the award. What more can McCarron do at Alabama? He has already won multiple national titles and his legacy at the school is unquestioned. However, with mediocre performances against Virginia Tech, Colorado St., and Ole Miss it is unlikely he will make the necessary push to vault up the rankings. AJ also benefits from an offense that relies primarily on its running game and a stifling defense. Hundley might not have been the first name to come to your mind when you think of the Heisman candidate list. Hundley has the potential to crash the Heisman party with games at Stanford and Oregon. He will also face Washington and USC before season’s end. If Hundley can lead UCLA to victory in these big games, he could find himself in New York City. George Whitfield happens to be the quarterback coach to an astounding 6 of the players that we have named in either our top 10 or in players under consideration. Whitfield works with: Manziel, Miller, Boyd, Murray, Petty, and Jameis Winston.